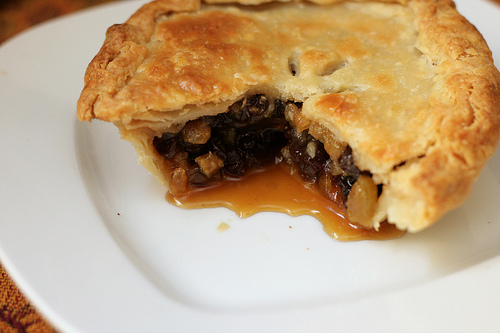 To American ears, mincemeat pie can sound like something terrible- a sweet fruit pie, with meat? Although mincemeat was originally a way of preserving meat with alcohol and spices, this modern mincemeat is vegetarian – made with butter and sugar and dried fruit and brandy – and makes delectable mini mince pies. For me, mince pies have been a key part of Christmas festivities for a long time. Let me tell you the story of my first encounters with mince pies and why they’ve become a star player on our holiday table. 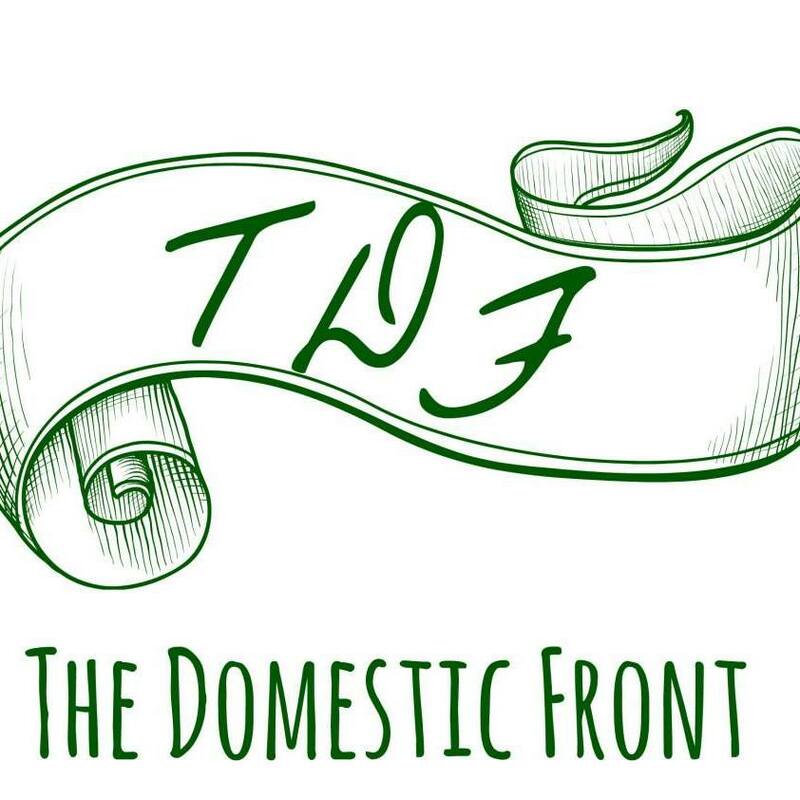 One upon a time, long ago, a fair maiden embarked upon a journey across the seas to study arts and letters with great minds of her age. On her journey, she encountered a knight, brave and true, who had set out from the maiden’s homeland on a similar quest. Expecting only to find enlightenment, the maiden and the knight found true love. And every year, in memory of their first meeting, the maiden and the knight (OK, mostly the maiden) prepared a traditional sweetmeat that was consumed during the festive season in this land across the water. If you didn’t gather from the above fable, mince pies are part of my family mythology, and make an appearance during every Christmas season, along with fruitcake and bourbon balls. In the U.K., they’re ubiquitous this time of year, sold in packs of six everywhere from the cheap kind at the Waitrose supermarket down the street, to the ones sold at Fortnum and Mason and marked “Luxury Brandy Mincemeat Pies.” Mince pies are the taste of Christmastime in London. And that taste is incredible — start with concentrated dried fruit flavors, add the flowing sweetness of brown sugar and butter, brighten with sour lemon juice and tart fresh apple, add a faint bitter note from orange and lemon peels and wrap the whole thing in a flaky pastry. Do you see why these might be just a tiny bit addictive? Fortunately, since they don’t appear on every street corner on this side of the pond, they’re pretty simple to make. Mincemeat may sound daunting (and offputting – the sugar and spices and brandy were a medieval way to preserve meat, but by Victorian times, the meat was largely forgotten, and my version is entirely vegetarian, made with butter and nothing more frightening than a few raisins) but it’s simple as pie to make — the whole thing takes maybe 20 minutes, start to finish, and the hardest part is dicing up an apple. After you’ve got the mincemeat made (and you can make it well in advance — it keeps forever in the fridge), it’s just a matter of putting it into pie crust and baking. 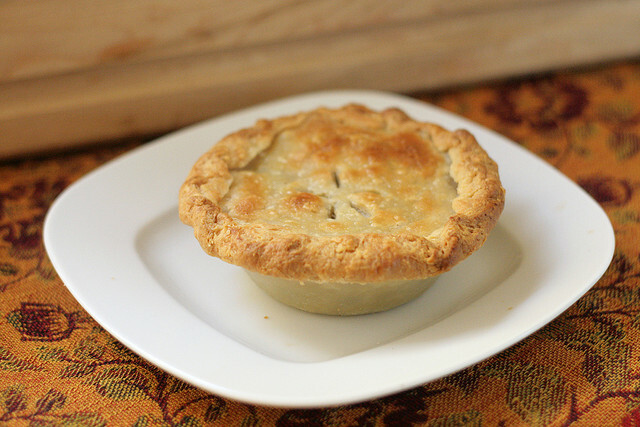 One thing I must insist on is making mini pies like they have in Britain. 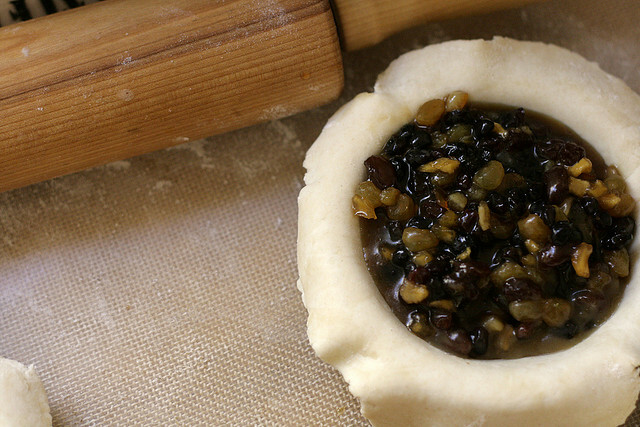 Mincemeat is so sweet and rich that the only way to get the proper ratio of pastry to filling is to go small. The ones in the picture are mini 6″ pie pans, but my favorite vessel are disposable 3.25″ aluminum tartlet pans I bought at a restaurant supply store. And the result? 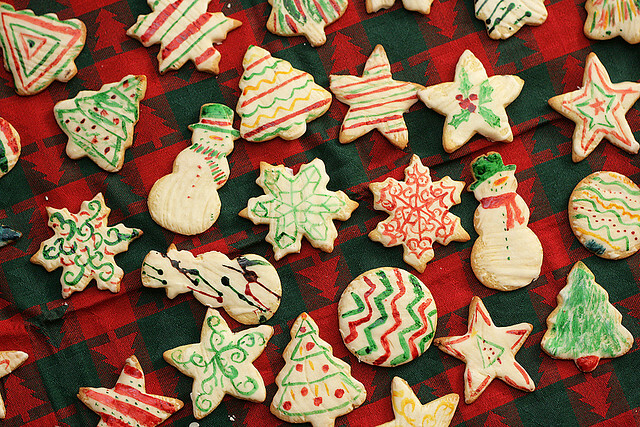 Little bites of Christmas cheer, a nice change from sugar cookies and gingerbread men. Prepare the pastry dough and chill in chubby disks. 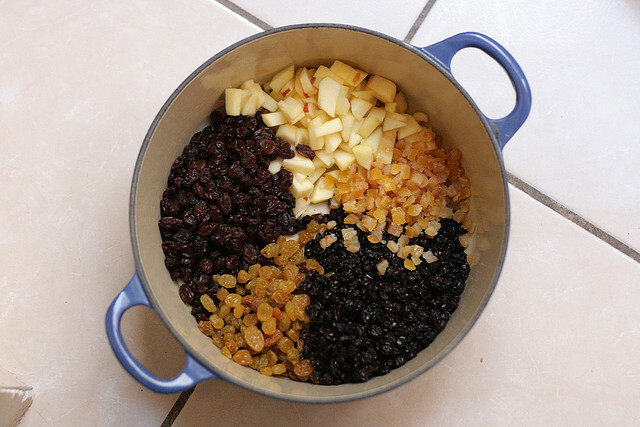 Make the mincemeat - combine all the ingredients except the brandy in a large saucepan, heat to a boil, turn down the heat, and simmer for 15 minutes. Stir in brandy and simmer for 5 more minutes. Let cool to room temperature. Roll out pie dough and line mini pie pans with the dough. Add a few spoonfuls of mincemeat (amount depends on the size of your pans), and top each pie with another circle of crust. 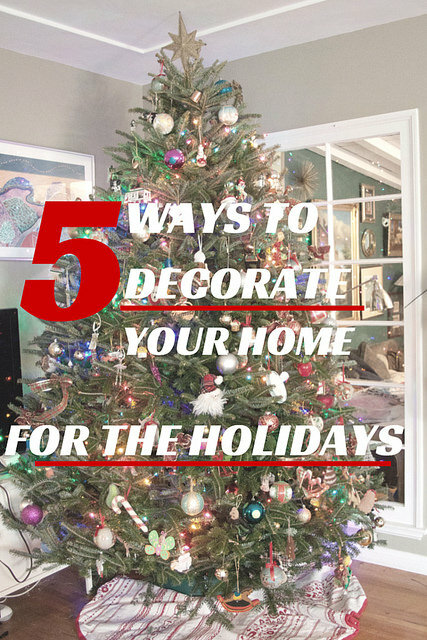 Seal the edges and crimp with fingers or a fork. 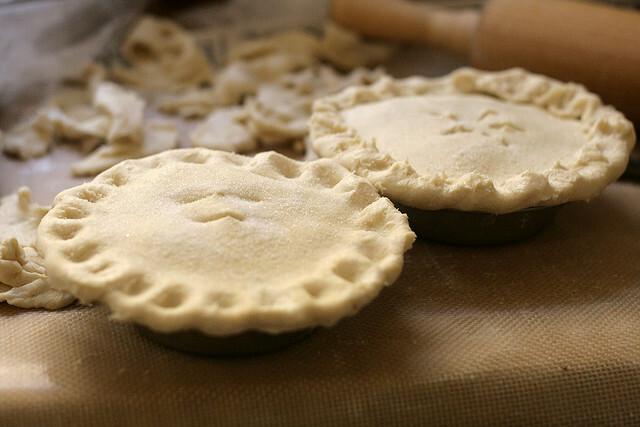 Prick the top of each pie to release steam, and sprinkle with granulated sugar. Bake for 15 minutes, or until the top crust is browned. Let cool, and serve warm or at room temperature. I totally ate your blog a few days ago. LOVED the mince meat mini pies. The flavors rocked.